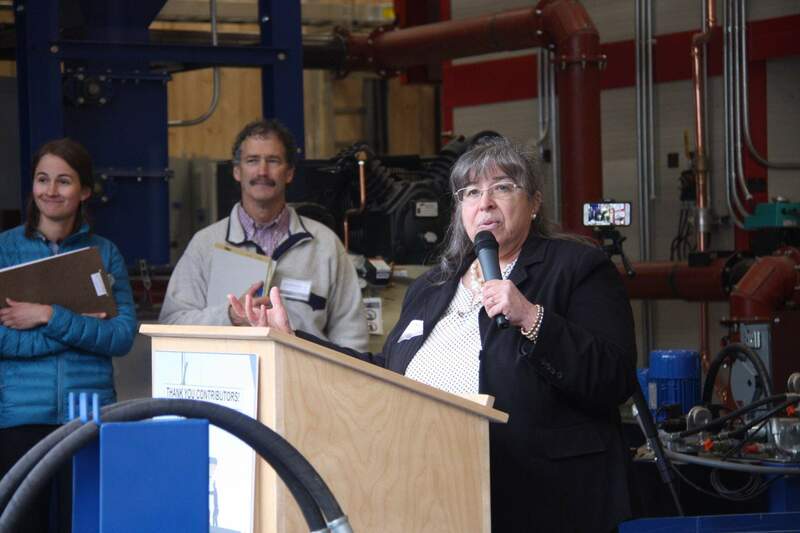 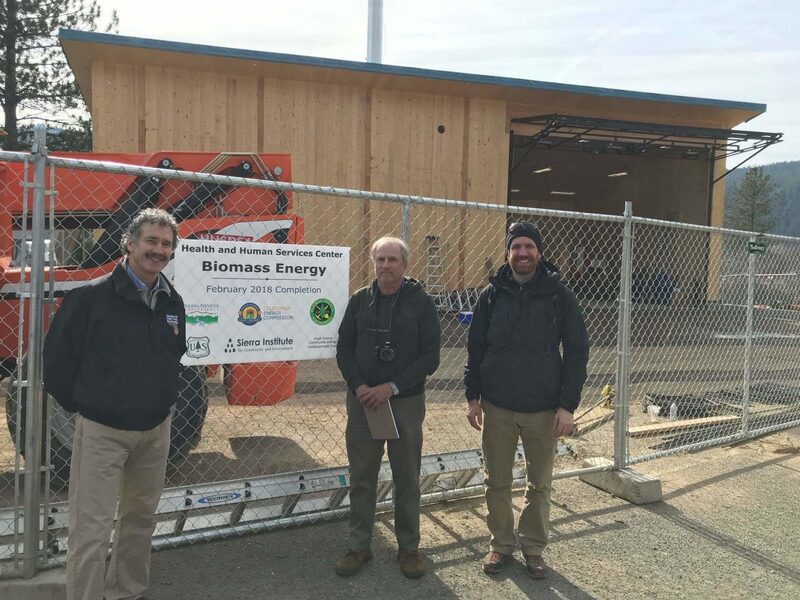 Welcome to the informational page on the Plumas Health and Human Services Center Biomass Project! 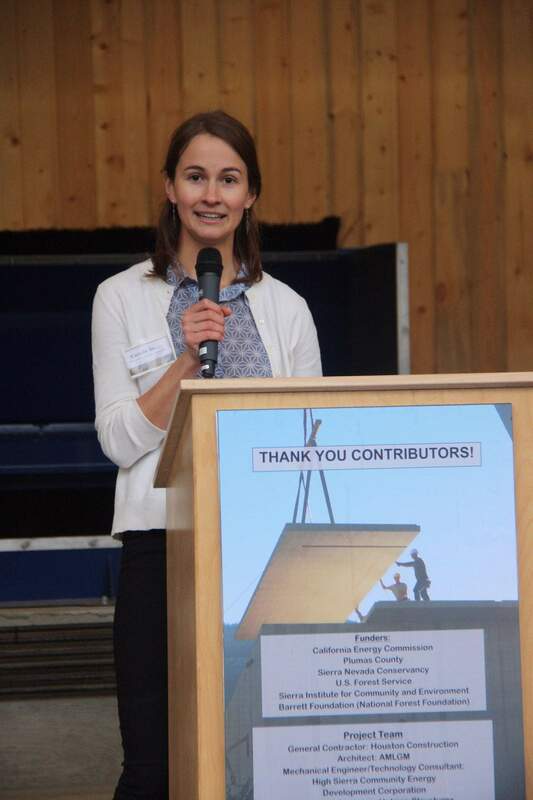 Please contact Camille Swezy at cswezy@sierrainstitute.us with any questions. 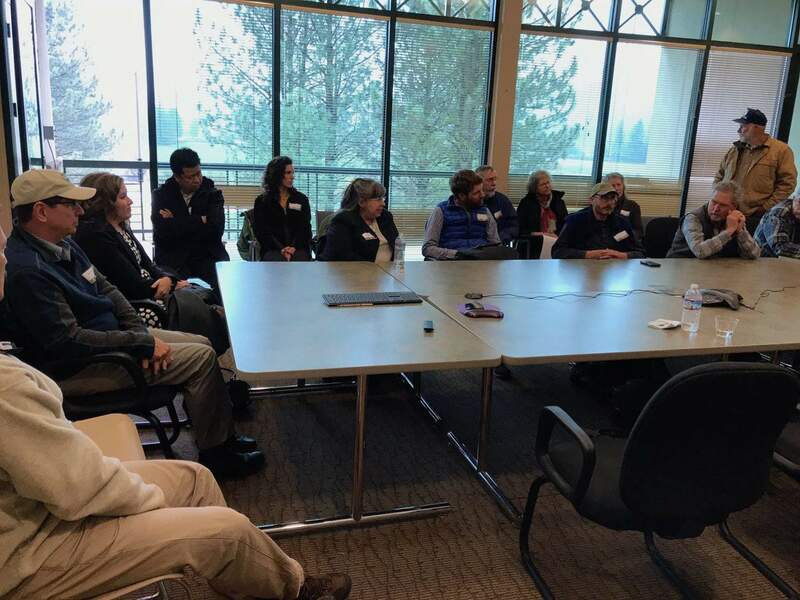 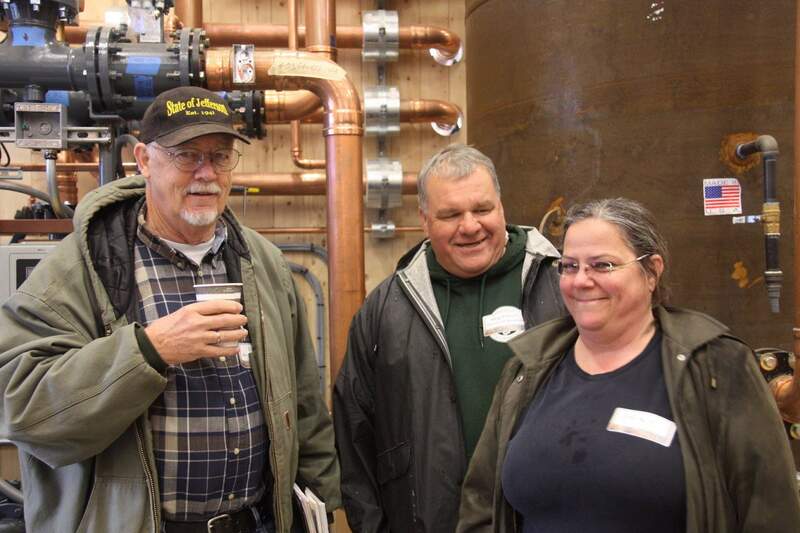 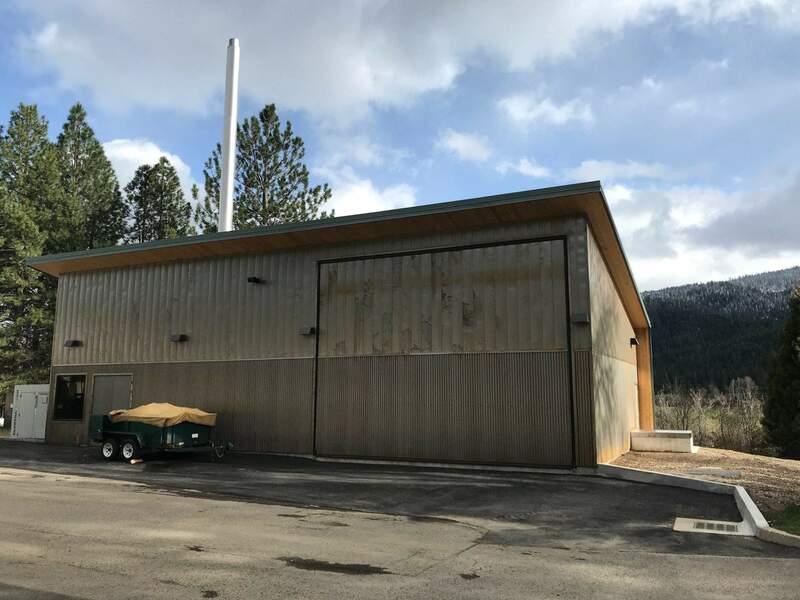 The Sierra Institute was awarded a $2.6 million EPIC grant from the California Energy Commission (CEC) in 2015 for design and construction of a biomass-fired heating system at Plumas County’s Health and Human Services Center (HHSC). 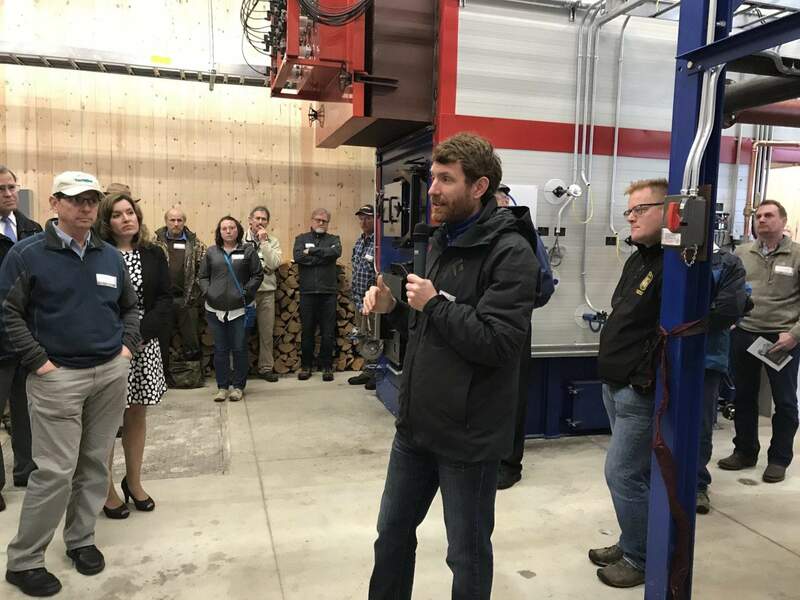 This facility provides heat to the HHSC, and generates electricity through an Organic Rankine Cycle process to supplement the power needs of HHSC during the winter months. 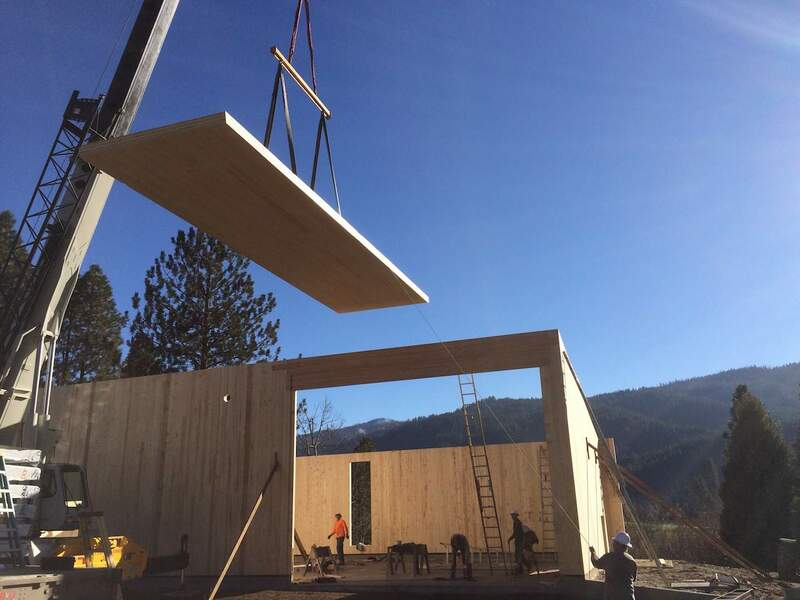 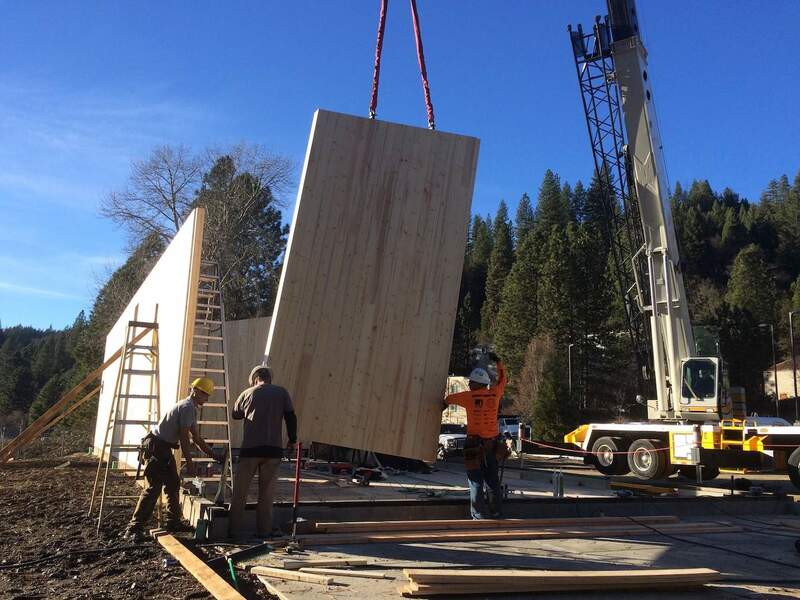 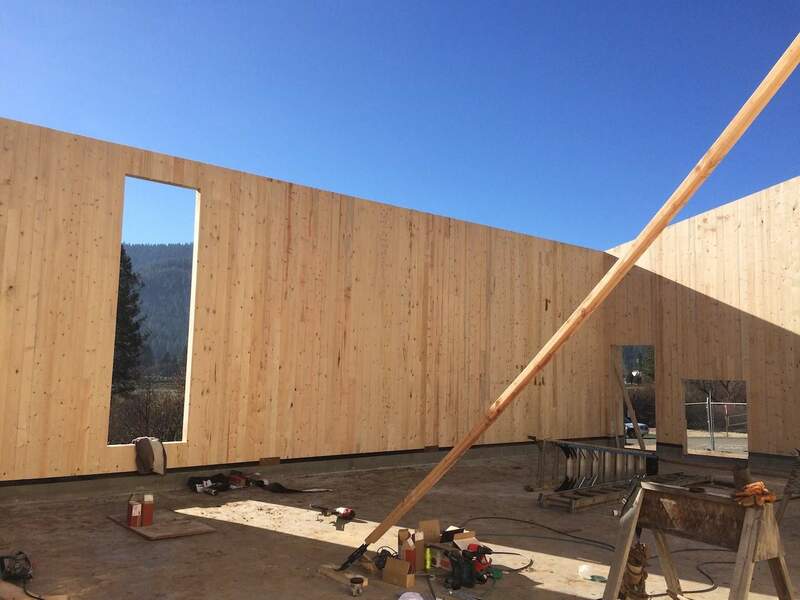 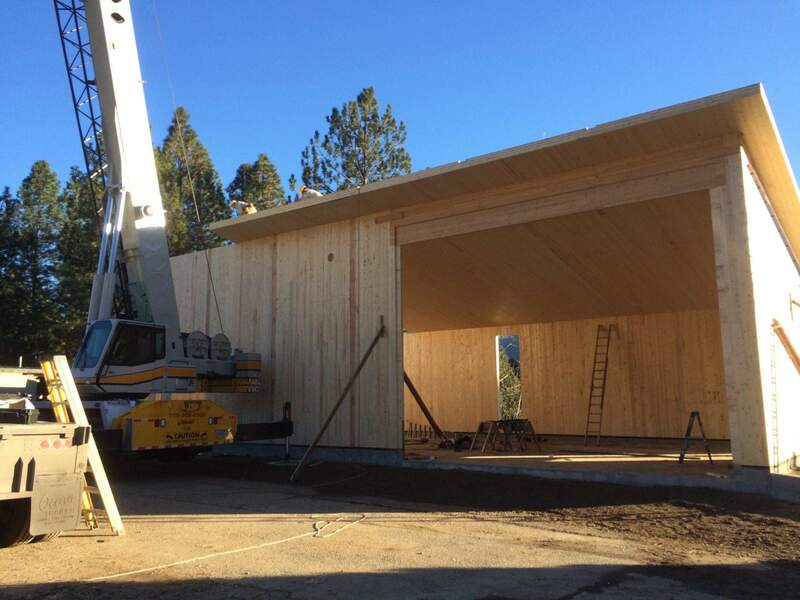 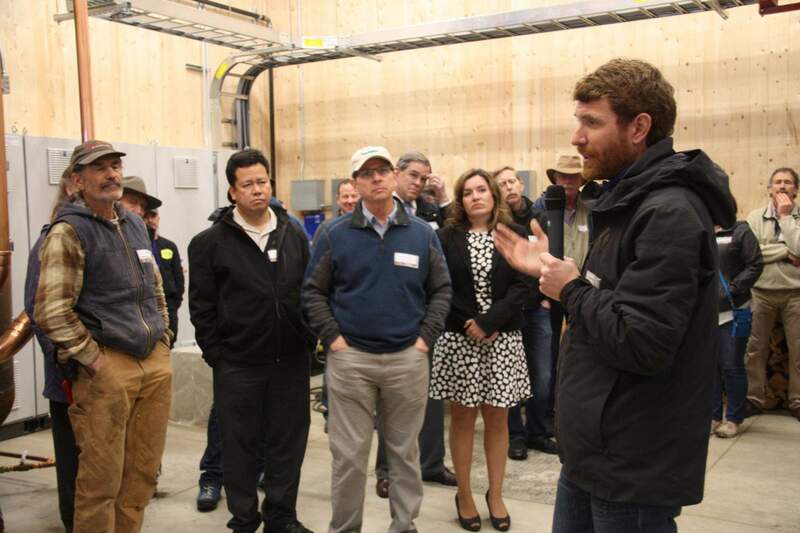 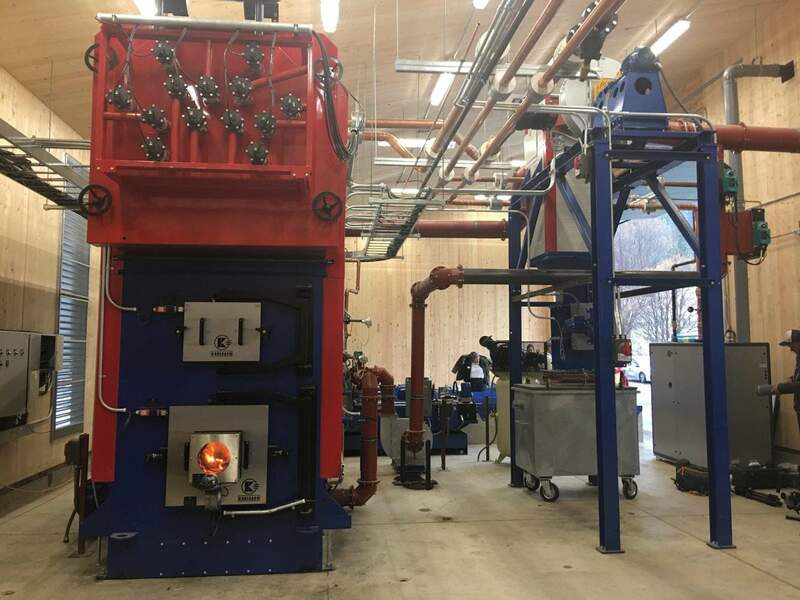 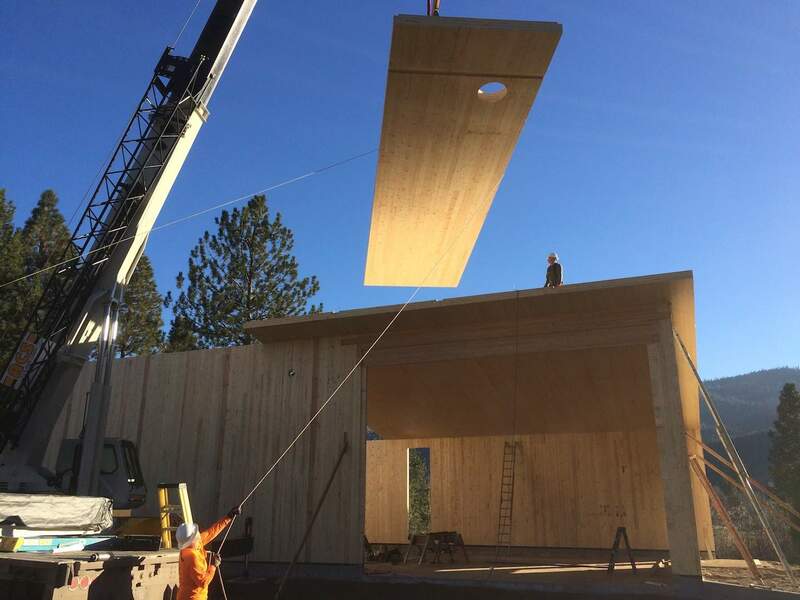 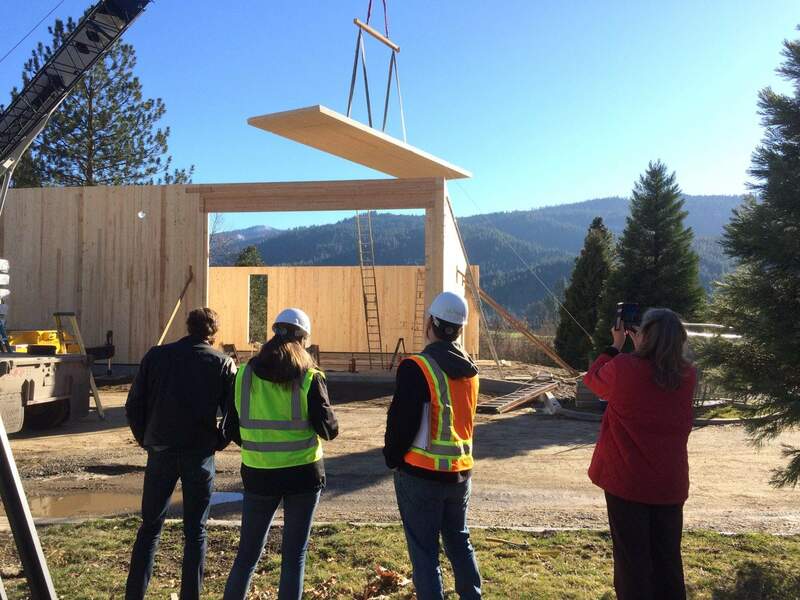 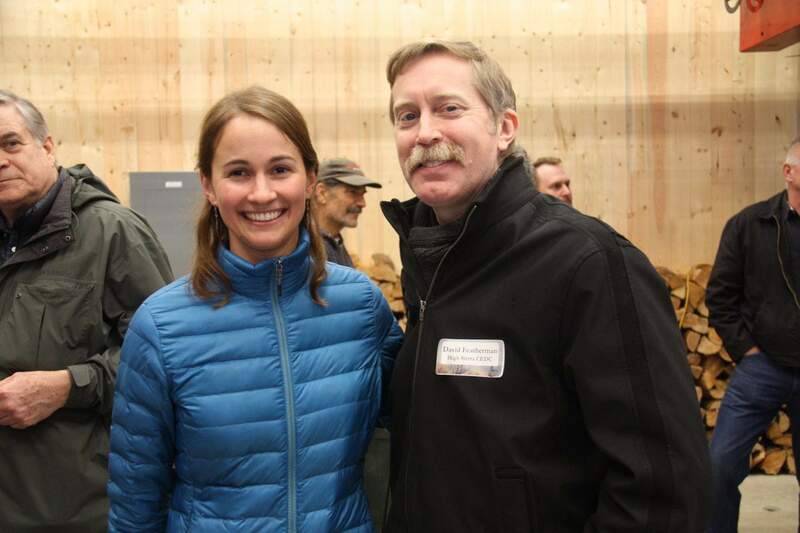 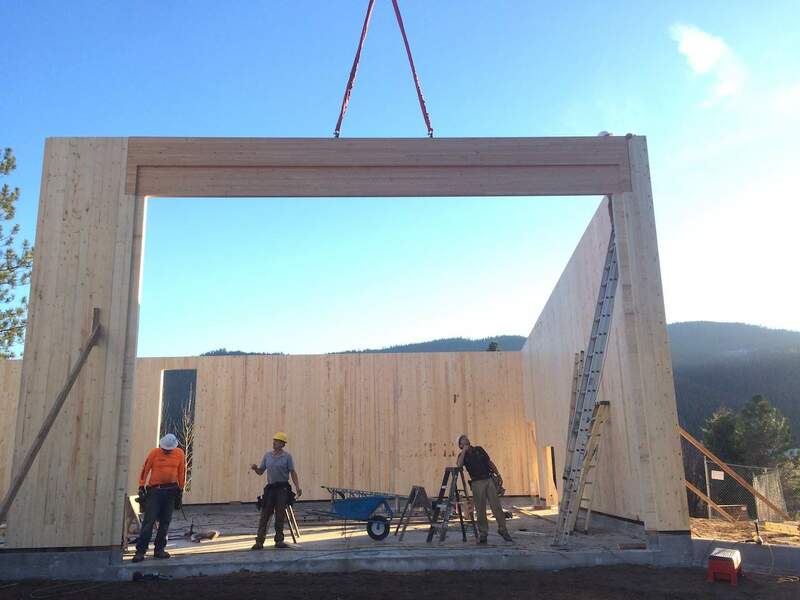 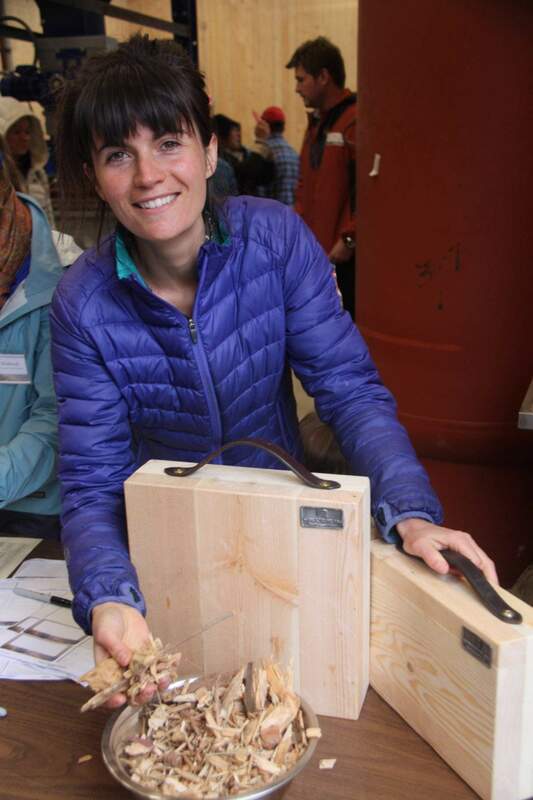 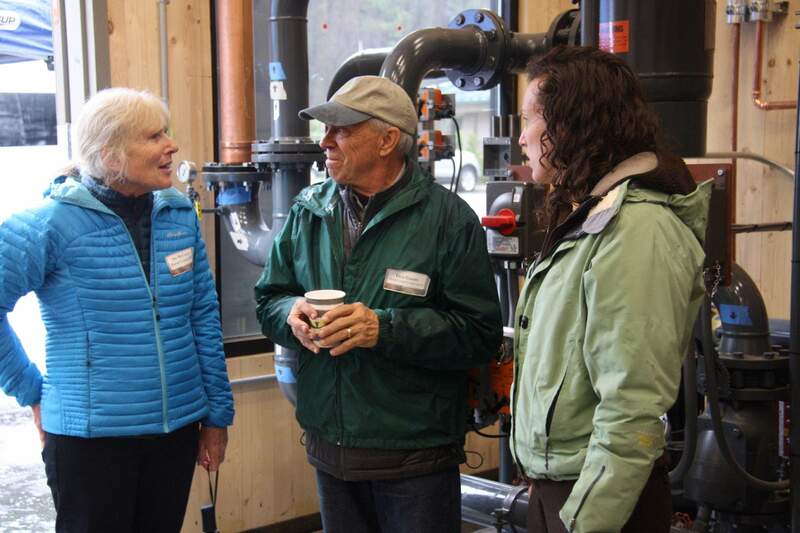 Wood chips derived from sustainable forest management activities within Plumas County fuel the boiler, and the entire system is housed within California’s first full cross laminated timber (CLT) building. 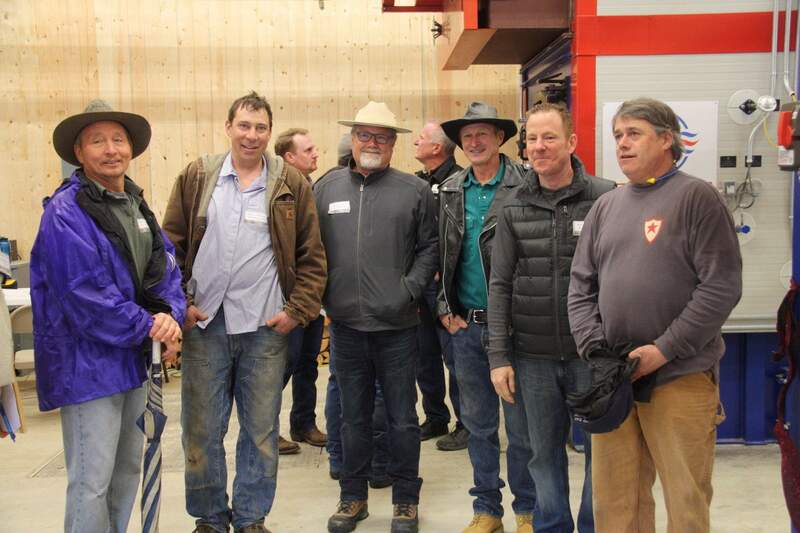 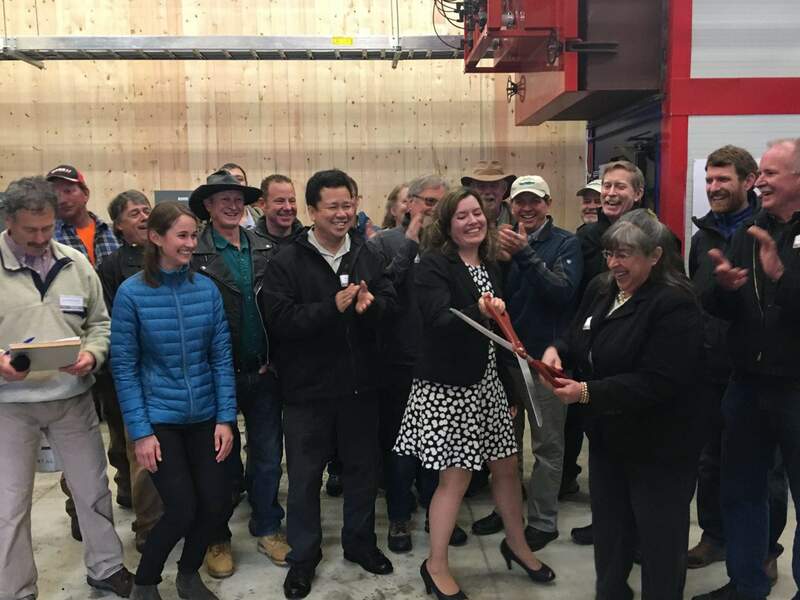 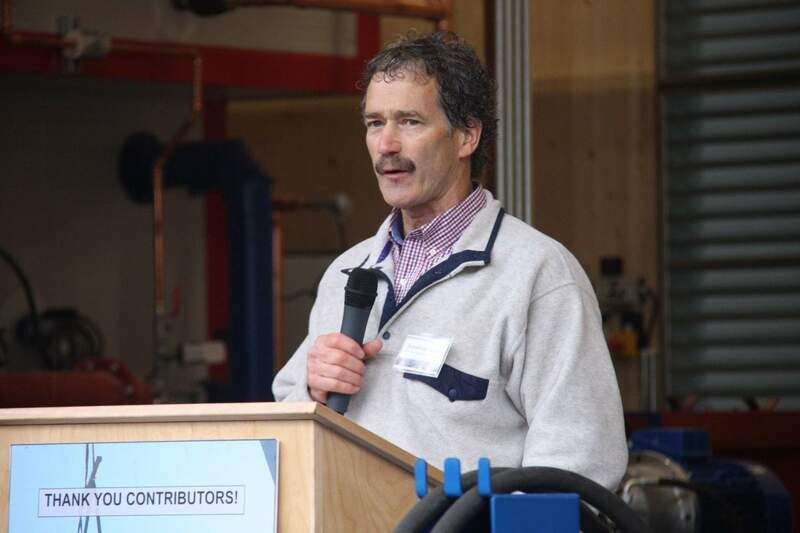 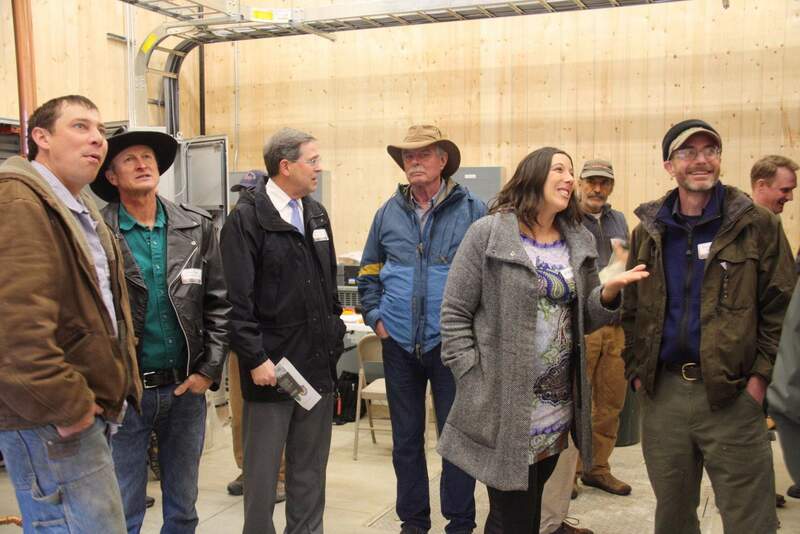 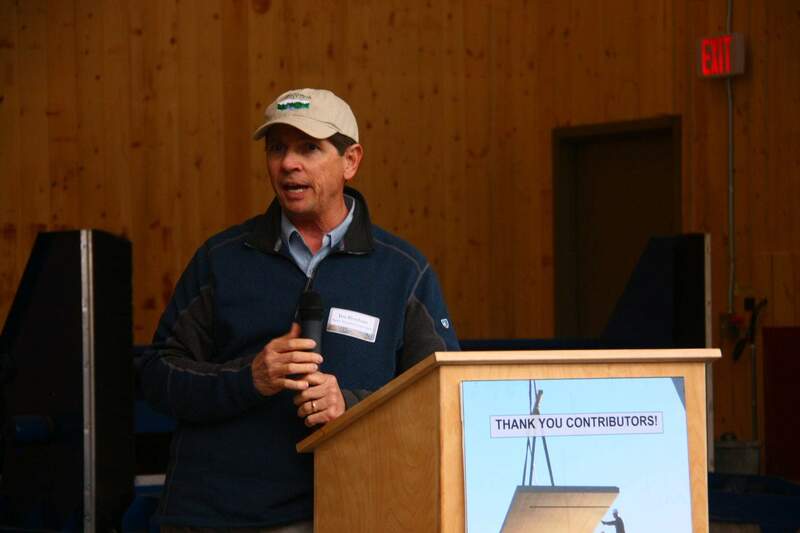 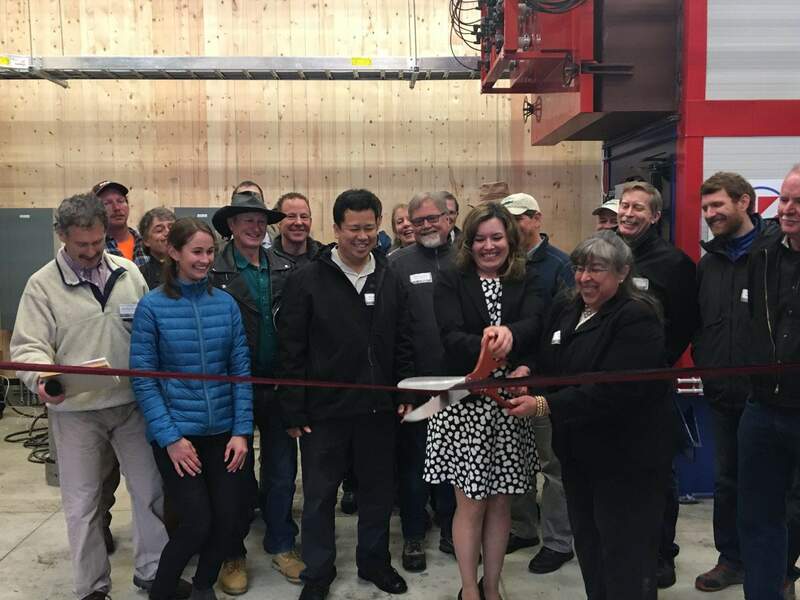 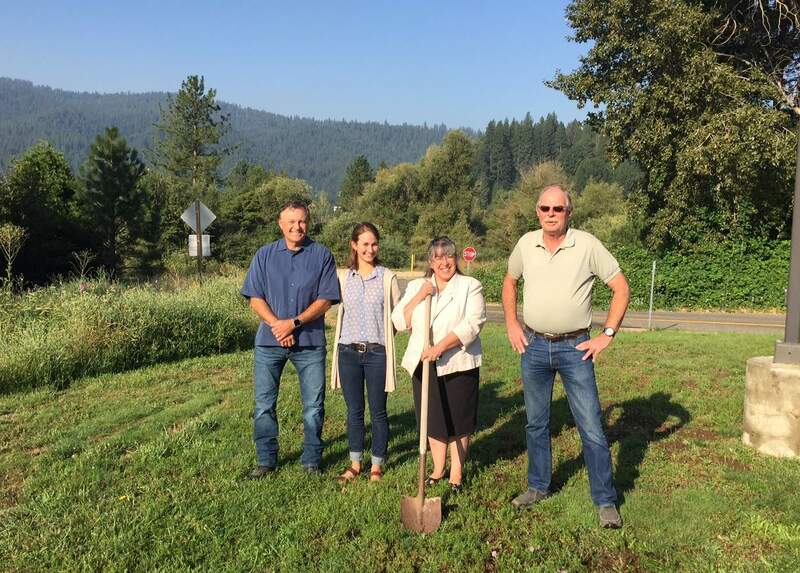 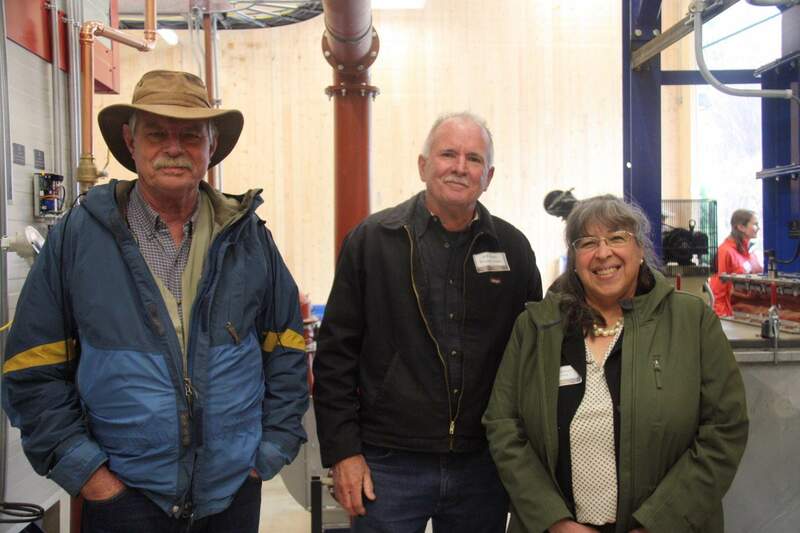 Upon completion of this project, Plumas County will be the prototype for how rural, forested communities can advance utilization of locally-sourced biomass material to benefit both local economies and surrounding forestland. 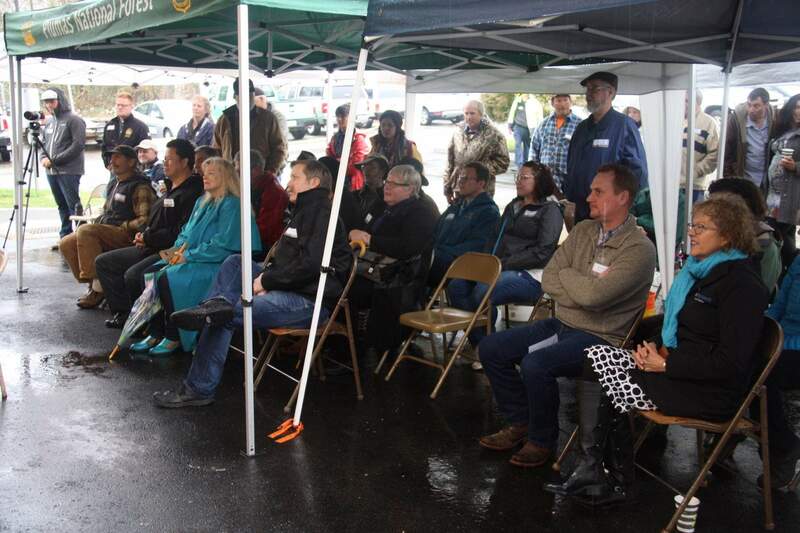 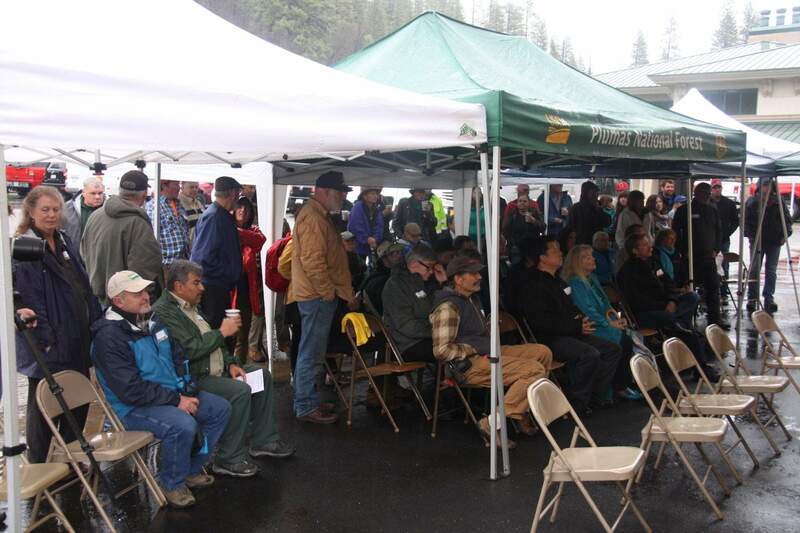 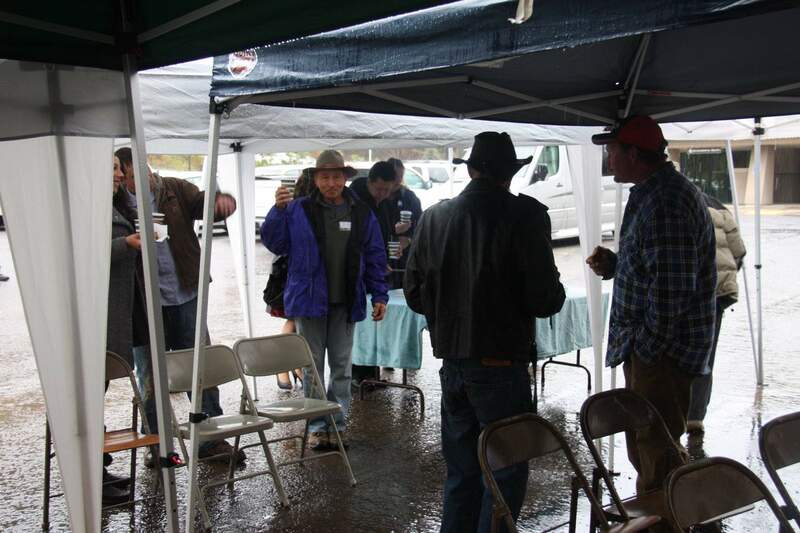 Thanks to all 60+ of you who joined us (despite the pouring rain) to celebrate this tremendous accomplishment for Plumas County!